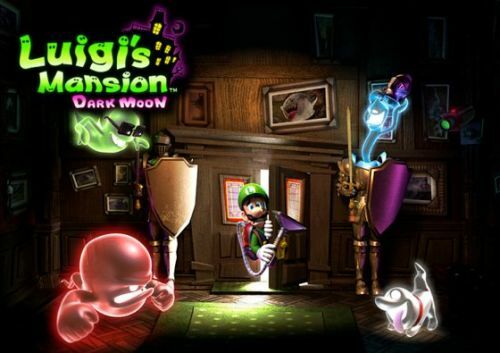 Dust off your Poltergust and get ready for lots of ghost-sucking action with Luigi's Mansion: Dark Moon. Everyone's favorite green plumber will return to the 3DS at the end of March to do what he does best - run a clinic on ghost housekeeping. Part of the Nintendo offering known as the "Year of Luigi," Dark Moon will feature extensive use of the 3-D effects offered by the 3DS system. It will also feature some interesting cooperative options for you and other would be Ghostbusters. Recently, the TV sport for Dark Moon surfaced on media airwaves. It is quite short, and doesn't show off most of the game, save for a few snippets of in game footage. Looks to be geared towards the younger crowd, but that doesn't prevent any respectable adult from grabbing his vacuum cleaner and dusting the rafters for ghosts. Look for Dark Moon to be released on March 24th for the 3DS. It will feature a few variations of cooperative play. Players can form a group of up to four players online, locally, or even through download play. Three modes will be available to players, including "Hunter Mode," "Rush Mode," and "Polterpup Mode." For a more detailed look at the cooperative play and other information regarding the green ghost hunter, take a look here. Page created in 0.7447 seconds.